Greenpoint Beer & Ale launches the first restaurant to open under Governor Cuomo’s Farm Brewery license. Annicka is serving exclusively New York made beer, cider, wine and spirits, showcasing innovative local producers. 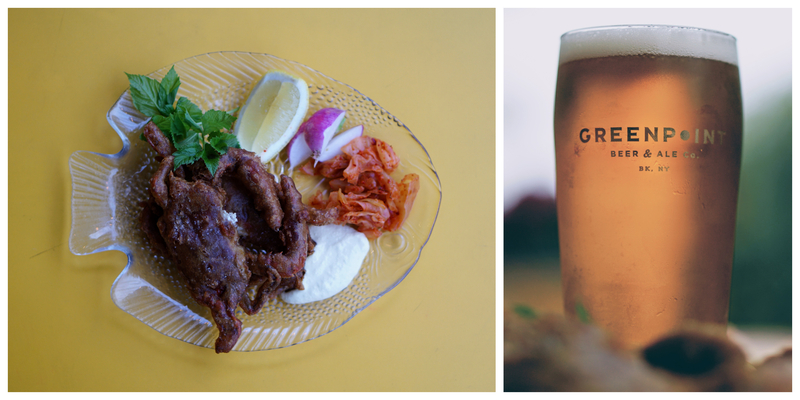 In partnership with the North Brooklyn Farms and Greenpoint Beer & Ale this new bar and restaurant is serving up a wide variety local and seasonal New American fare tht will more than satisfy any vegan or omnivore. With 24 tables and enough seats at the bar for any size group of friends Annicka makes the perfect desitanation for any meal or occasion. Below are a few dishes we loved on our last trip (Saturday) which was the perfect patio and bar to sit on a 65 degree rainy day (Drinking Weather). Annicka Gift Cards Sending a Annicka eGift card is fast and easy. You can gift from the ItsOnMe app or just click on the gift card button on Annicka’s website to send instantly via text or email or scheduled to be delivered at a future date.